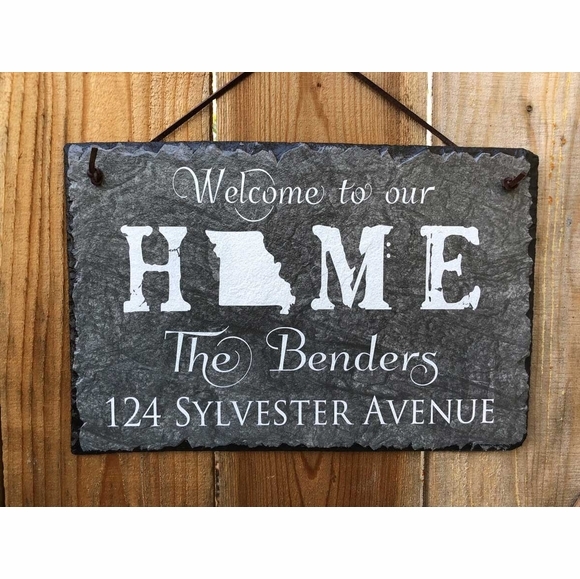 Welcome to Our Home State Sign - - includes your name, address, and state symbol. Made in USA. Welcome to our HOME is standard on this sign. Your state shape replaces the letter O in HOME. The name line holds up to thirty (30) characters. The address line also holds up to thirty (30) characters. Address number in large image above: 124 SYLVESTER AVENUE.